We can’t deny it, we love a good themed present at Babyology. If you feel the same way, come and have a look at all the quirky and wonderful Christmas-themed gifts we’ve managed to pull together to give your holiday a bit of extra fun. There’s something for everyone in our just for Christmas guide! Who could resist such a cute little reindeer on Christmas morning? 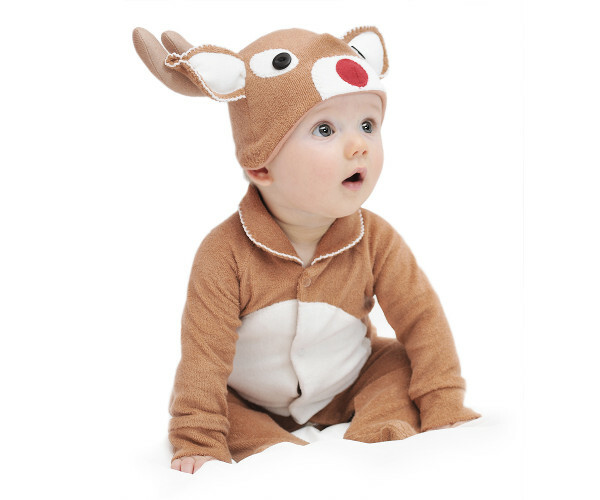 If you have a little reindeer all of your own, you can dress them up in comfort and fun with the Red Nosed Reindeer onesie and hat from Lil’ Creatures. Nobody will call that reindeer any names except adorable. You can pick it up for $79 and it comes in sizes 000-2. These are slightly more scaled back, and aren’t they gorgeous? 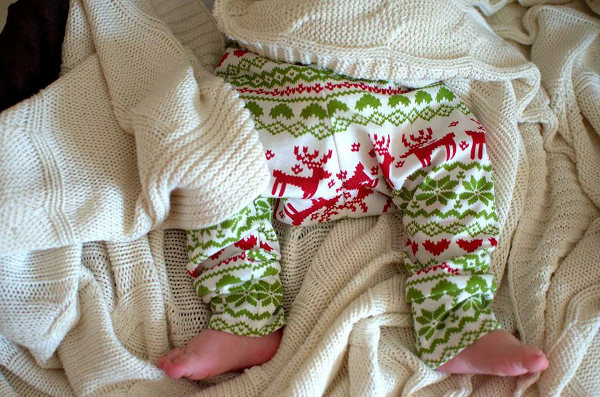 If you’re looking for a touch of Scandinavian style in your baby’s Christmas outfit, these are the leggings for you. They’re the Reindeer Leggings from Etsy seller Titot Baby Fashion, and they come in sizes from 000 to five. Made from soft cotton jersey, they won’t be too hot for an Australian Christmas, and there are even matching hats and bibs. Prices start at $26. It’s not just Santa who needs to get in at Christmas – his elves will be around to help out too! They’ll have much better access if your kids have an Elf Door directly into their bedroom, plus it’s a great opportunity for Christmas-themed imaginative play. 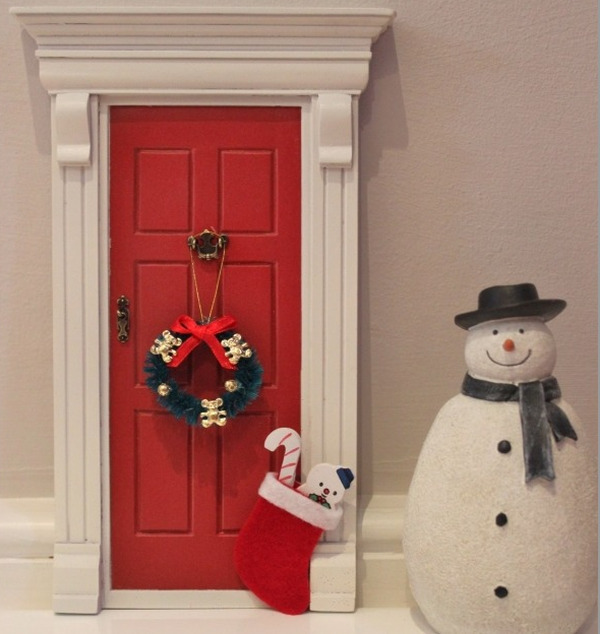 These Elf Doors from The Magic Door Store are $34 each, and you can add some Christmas bling to the door with wreaths, stockings and snowmen, for varying prices beginning at just $4 for the wreath. 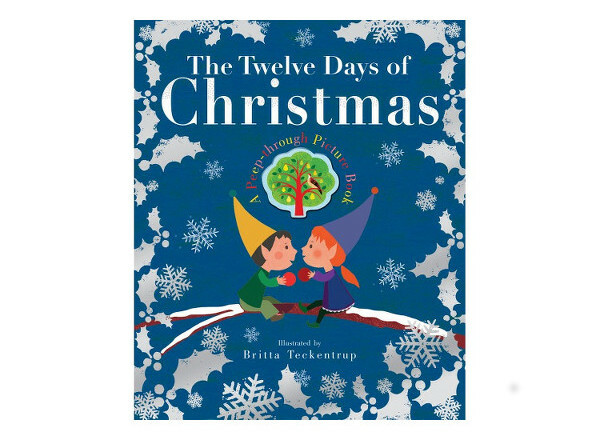 It’s a lovely tradition to buy new books at Christmas each year, and if you’re looking for something for preschoolers, this hardcover version of The Twelve Days of Christmas is a treat. With plenty of festive sparkle and fun cutouts that get bigger as the days of Christmas go on, it’s a book kids will return to year after year. It’s $24.95 from Story Mama. Back at the business end of Christmas, nobody can deny that Christmas requires a lot of wrapping. Some of us love this, and some hate it, but however you feel, you’re sure to enjoy it more when you have the tools you need to do it well. That’s where this great bundle of goodies from Nice Package comes in. 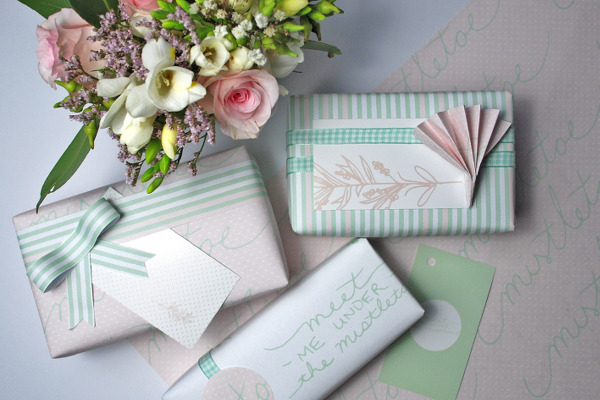 It’s their Under the Mistletoe package and with three different kinds of paper, plenty of ribbon and 12 cards, it contains everything you’ll need to wrap 12 medium sized presents in style. It’s $26.95 from Nice Package. 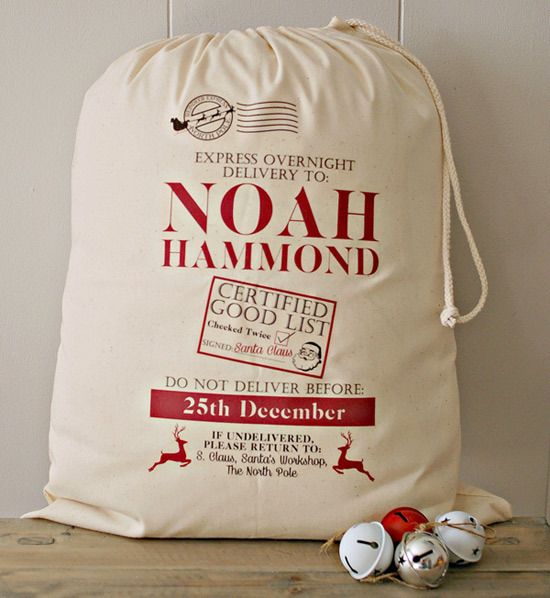 Once those gifts are all wrapped up, you’ll need something to lug them around in, and we love this personalised Santa Sack from Not in Shops. They have so many different designs to choose from your head will spin, and you can personalise them individually, or even have family sacks with lots of names on them. Prices begin at $38, but you need to get cracking because the cutoff dates for ordering to ensure Christmas delivery are from 28 November to 4 December, depending on which design you choose. How about a spot of Christmas decorating? 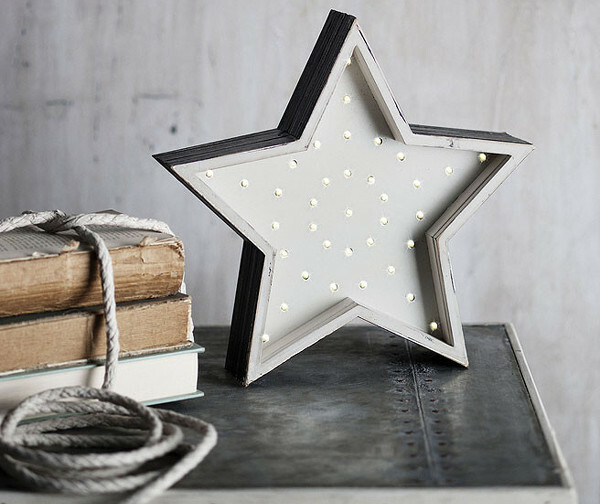 Wonderful all year round, but especially so at Christmas, is this Petite Star light from Fromage La Rue. With a cool industrial bent, they are handmade in Australia and each one is unique. They’re freestanding but can also be wall mounted and you can have this great piece of Australian design all to yourself for $149. There may have been no room at the inn, but there’s plenty of room in these little houses for all the Christmas cheer you could wish. 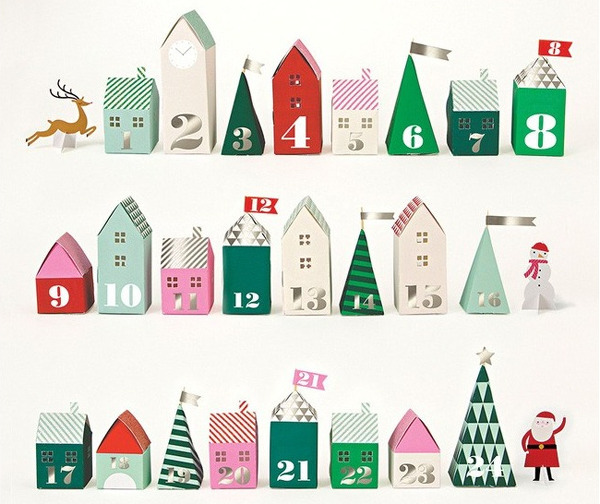 If you’re still on the lookout for an Advent calendar which will be a pleasure to look at as well as open, we love this Advent Village from Lark. At $29.95 it comes to you flat-packed, but it’s super easy to assemble, and it gives you the chance to fill your calendar with whatever you like in the lead up to the big day. How about a spot of do-it-yourself this Christmas? If you’re the crafty type, you’ll love this DIY Christmas Feltball Wreath Kit from Little Puddles. 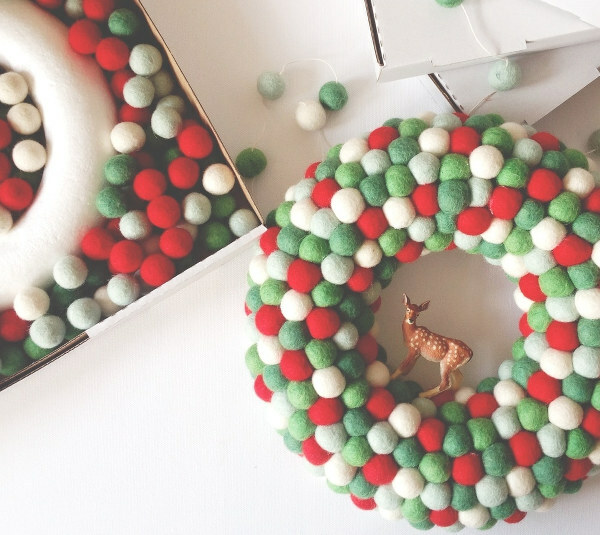 It’s $60 and will provide you with everything you need to make your own gorgeous wreath for the door, with enough felt balls left over for a nifty little Christmas garland too. This one is on my must-have list! 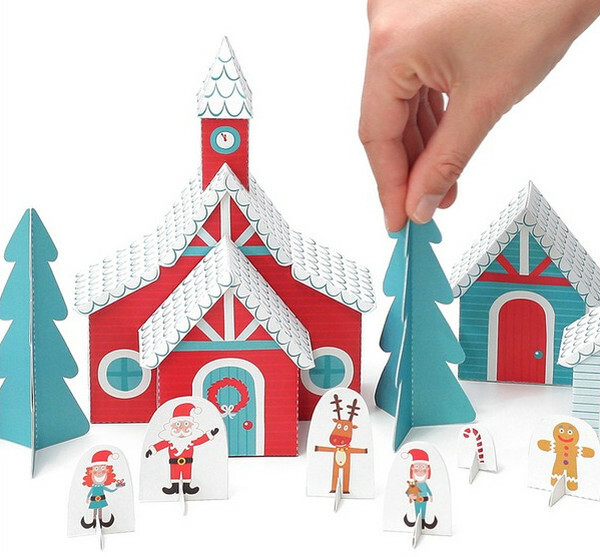 Last of all, your decorating skills don’t have to stretch very far to appreciate the fold-along-the-lines goodness that is the Christmas Paper Village from Pukaca. Actually, I’m stretching the truth a bit – you’ll have to do a bit of work with glue and scissors too, but it looks great and is a fun pre-Christmas decorating craft to do with kids (or without, if you want to retain creative control). Set it up on any flat surface and feel a bit more Nordic. You can get it for just $12 at Down That Little Lane.